EconomicPolicyJournal.com: Why Do the Super Rich Promote Socialism? 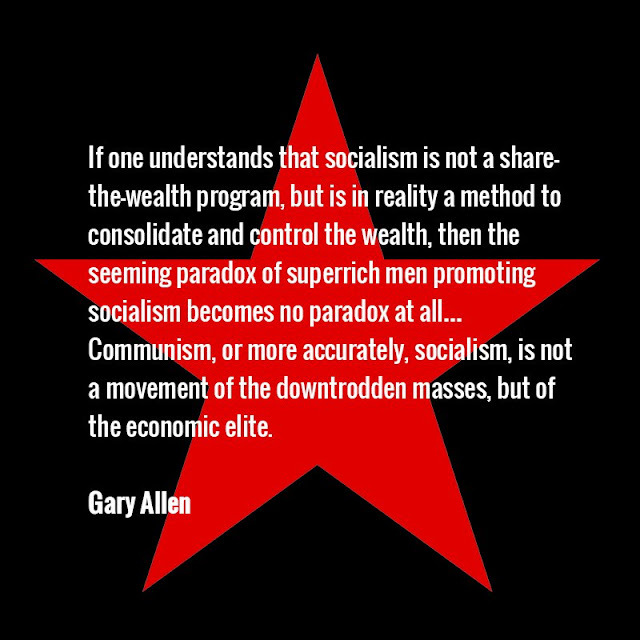 Why Do the Super Rich Promote Socialism? I can't afford to be a communist. Precisely. That's why when someone says "Socialism doesn't work" I invariably reply "Works for who?". The top 1% are afraid of the bottom 20%. The top 2-10% represents the gravest threat to the top 1%. The strategy of the top echelon is therefore to pit the bottom group with this closest rival. Gary Allen was the conspiracy theorists' conspiracy theorist. He wrote "None Dare Call it Conspiracy" - a kind of underground classic in its day. He also did "The Rockefeller File" - not as well known but worth a read. 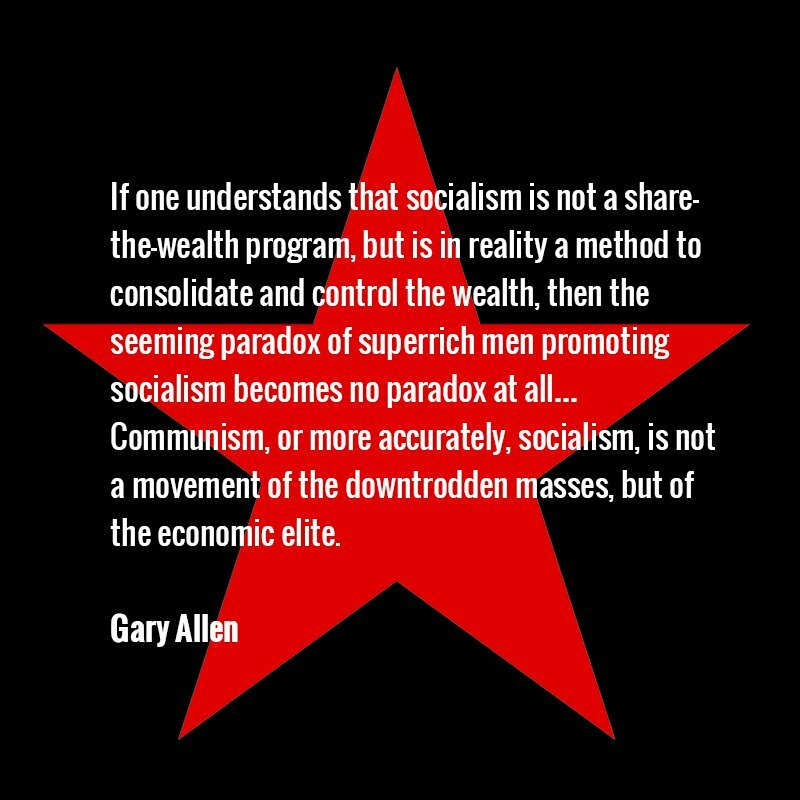 Regardless of specific conspiracy claims his argument that super-capitalists have more to gain than to lose from socialism is certainly defensible. Non-conspiracy theorists like Hilaire Belloc have made this claim too. For example in Belloc's "The Servile State" where Belloc claimed the impact of socialist legislation on a pre-existing capitalist society was ultimately to reinforce plutocratic rule and provide a machinery for ultimately enslaving lower class masses.